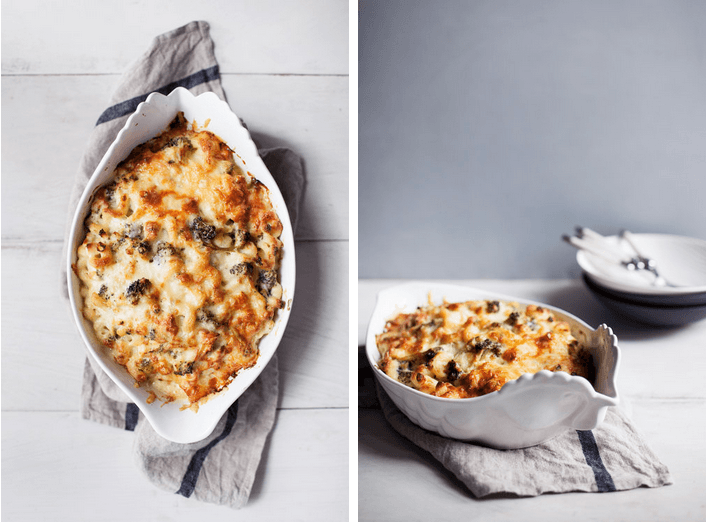 Today on the blog I am sharing a delicious comfort-food recipe that sneaks some vegetables into your kids diet. 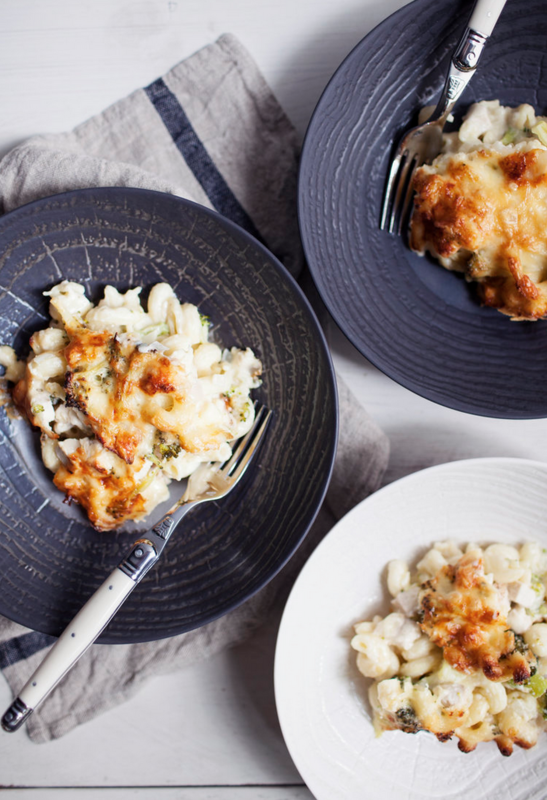 This chicken and broccoli mac and cheese is decadently cheesy and is a great braces-friendly weeknight meal that the whole family will enjoy. cook pasta in boiling, salted water until al dente (use package time). in a separate pot over medium heat add the butter & flour. stir constantly & cook until a lump-free roux forms, about 2 minutes. add the shallots, garlic & dijon. cook for an additional 2-3 minutes. add the half & half, whole milk & bay leaf. simmer for ten minutes. remove from heat and stir in the grated cheese until it is fully melted. fold in macaroni, broccoli & chicken. 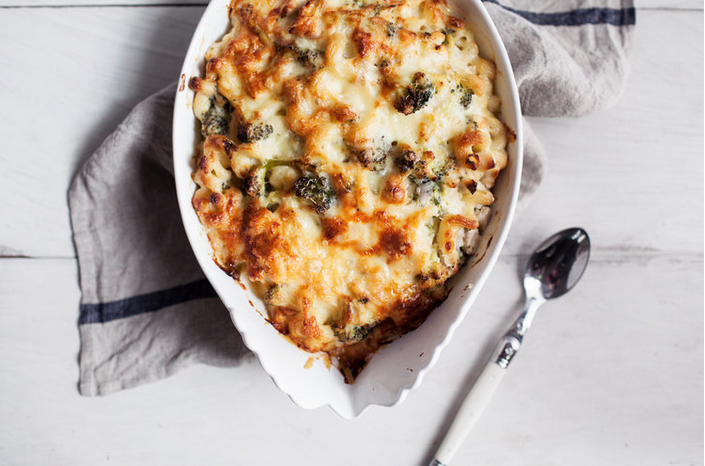 pour into desired baking dish and sprinkle with additional cheese (about 1 cup). bake for 20-25 minutes, or until the top is golden brown.